The TIDE Private Protected Lands (TPPL) are strategically located within the Maya Mountain Marine Corridor to provide safe havens for wildlife throughout their range, from the mountains in the west to where the land meets the sea in the east. The predominant ecosystem found in these areas is tropical broadleaf forest, much of which lies along the Rio Grande River. The area is rich in biodiversity, and is home to many of Belize’s most charismatic species, including the tapir, crocodiles, howler monkey, and jaguar, and is a birders paradise. An early morning boat ride on the river is popular amongst our birding guests, and our expert guides can tell you what birds are in the area before you even see them! Guests can take a boat ride along the river, or for the more adventurous, a guided kayak tour. Hike along nature trails, meet TIDE’s ranger team to learn more about their work in the lands, assist with TIDE’s reforestation efforts, and picnic on the riverbank. 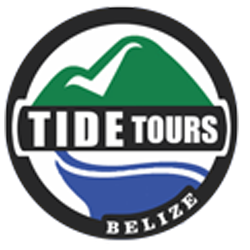 Accessing the lands is easy, just a twenty-minute boat ride from Punta Gorda, and the mouth of the Rio Grande is within the Port Honduras Marine Reserve, so tours that combine both areas can be arranged. If you’re looking for somewhere to stay in TPPL, why not consider the Big Falls Retreatwhich is a thirty minute drive from Punta Gorda, or coming in 2019, our riverbank cabins on the Rio Grande River.